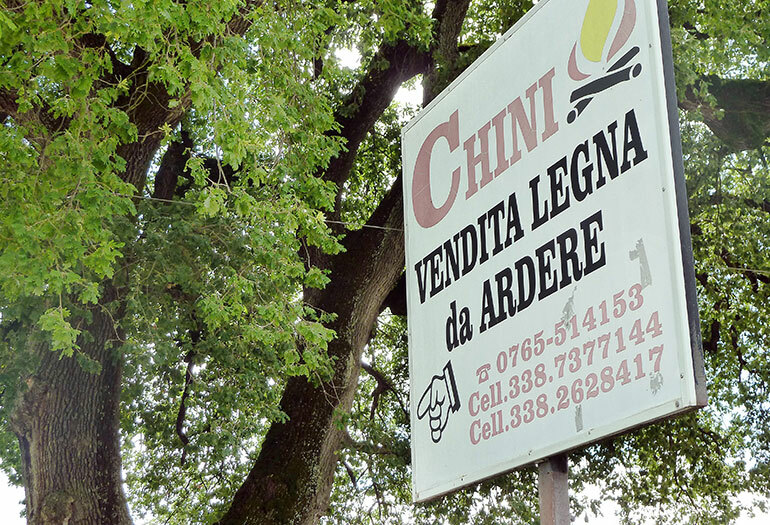 Approximately 50km northeast of Rome, Stefano Chini’s grandfather started a family business in 1929 selling hand-split railroad ties. Stefano’s father was raised in the business and through his hard work, he built it up into a successful firewood business. 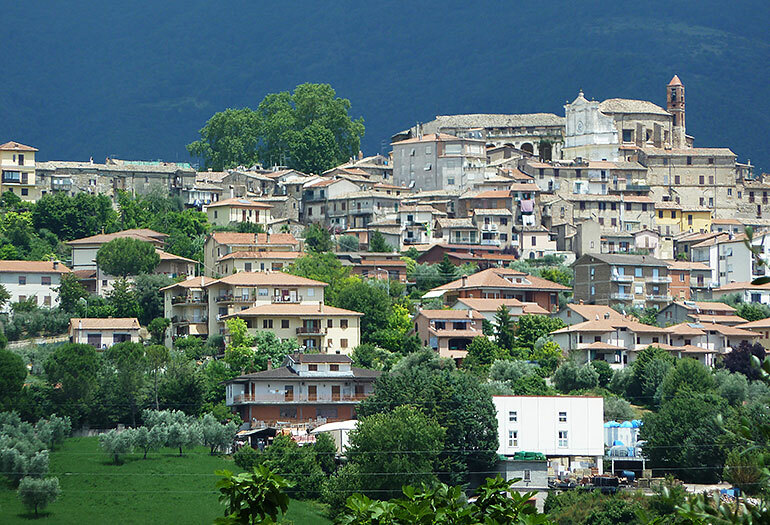 Stefano began managing the business full time in 2007. As the third generation owner, he thought a lot about his own son’s future. “I would like to build a solid business for the future of my children,” shares Stefano. In his opinion, relying on firewood as their sole source of income would not be wise. 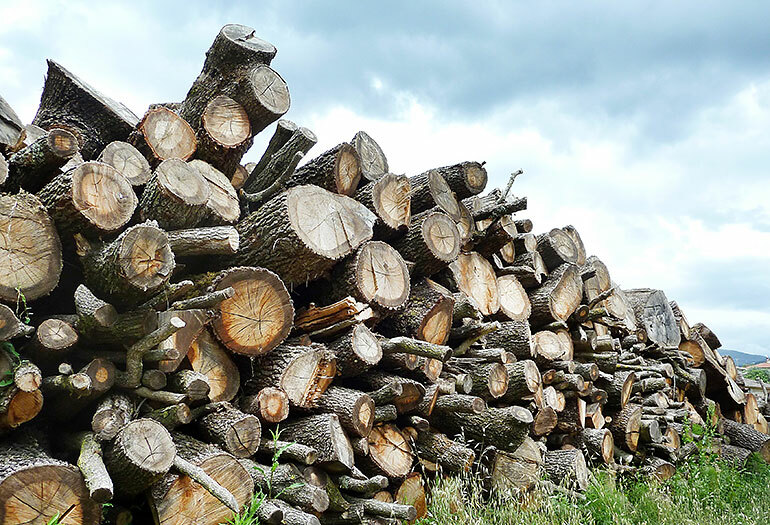 Firewood producers are directly affected by weather, log and firewood prices, government regulations, changing heating methods, and deal with relatively low profit margins. The firewood season has a busy time of year, and a slow time of year. These factors caused Stefano to begin looking for additional products they could provide their local market, using the same logs they were buying for firewood. It was about this time that Stefano saw an advertisement for band sawmills in the magazine Tecniko & Pratiko. Traditional sawmills are not suited for the needs of small and medium-sized businesses, but the sawmills advertised make use of narrow bandsaw blades to cut logs into timber, and are designed specifically for more affordable timber production. 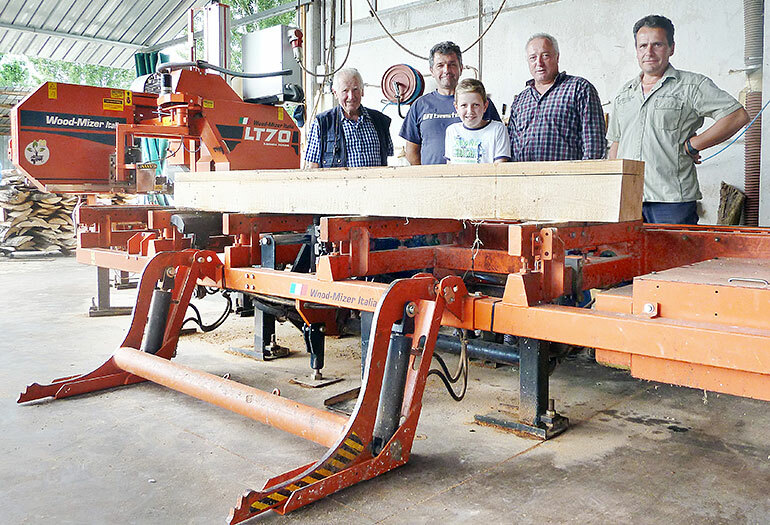 Intrigued, Stefano went and watched a Wood-Mizer sawmill in use at an Italian timber trade show. The demonstration convinced him that this was the principal machine he needed to support his goal of diversifying his product range. He placed an order for a Wood-Mizer LT20 sawmill model - intended for small business owners. Although more productive, powerful models were available, Stefano contented himself with a smaller machine at first. He wanted to expand his business in a way that made good business sense, without unnecessarily over extending his resources. “If it’s not straight, it’s firewood!” Stefano laughs. 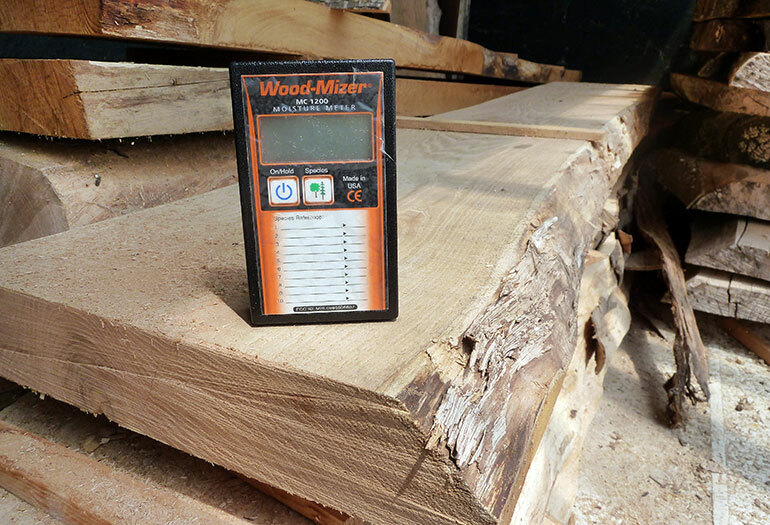 With the LT20 sawmill, Stefano was able to reserve the higher quality logs in his inventory for cutting into custom sized timbers for builders. When he buys logs now, he is able to pick logs specifically for the sawmill. Lower quality logs are processed as firewood. “It’s probably one of the best investments we have made,” he shares. His idea was a success from every angle. He now sells custom cut beams to local builders, builds and sells furniture, and sells fence posts and boards. During the months when the firewood business is slow, he is able to stay busy cutting timber and building furniture for individual buyers and restaurants. Before, firewood was the only product he could offer from his logs, but the sawmill allows him to make much more money from the same logs by processing it into more valuable end products. Local builders like his timber because their clients are looking for a rustic and natural look for renovations and in new buildings. 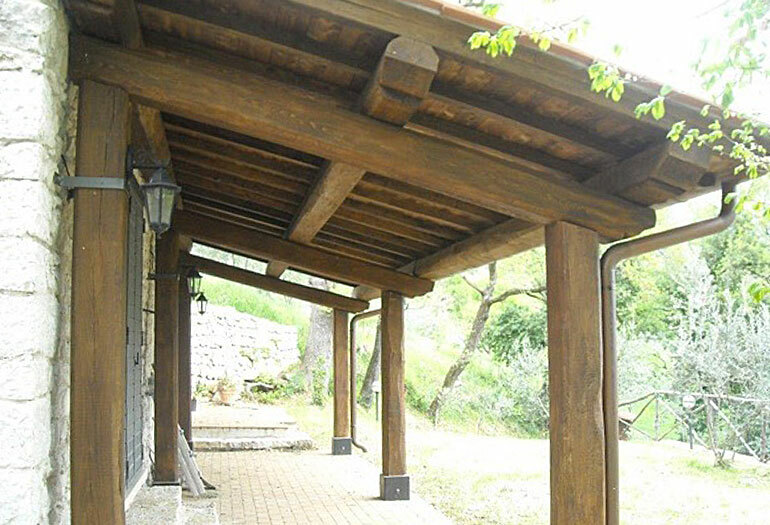 Instead of removing imperfections in the wood, Stefano leaves them intact. Often, he meets with architects and clients together to talk about a project. They look at samples and discuss their particular vision. 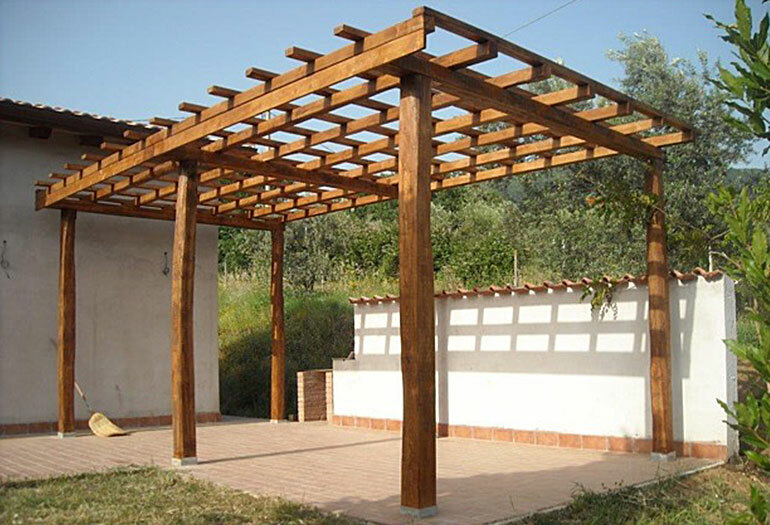 He can supply freshly cut timber, or timber that has been dried, sanded, stained and is ready for installation. Chestnut is very popular. Builders and homeowners value the use of wood in their projects because it is a natural material that is pleasant to the eye, and contributes to the warm environment of the home. Stefano likes that fact that his products are viewed in such a positive light by his clients – it’s not just any material, it’s special and beautiful. His business relies only on word-of-mouth advertising and his business sign along the road. 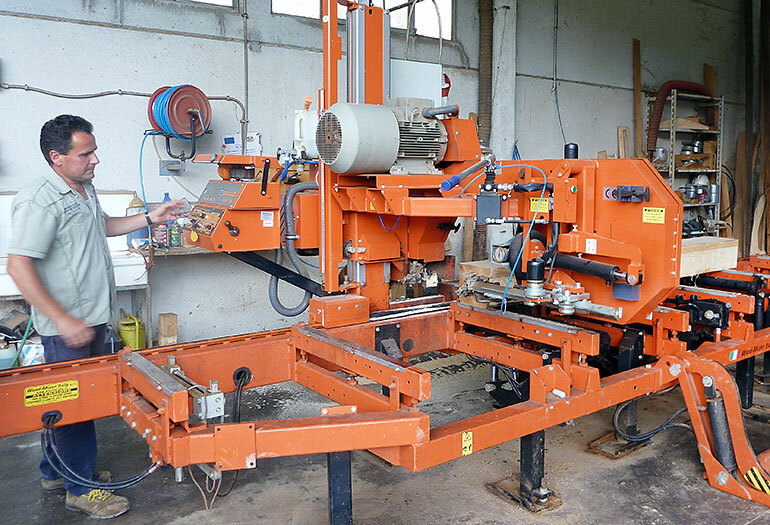 After the growth experienced with the LT20 sawmill, Stefano decided to upgrade to a Wood-Mizer LT70 sawmill for more capacity and production capabilities. The sawmill features hydraulic functions that load and adjust the log position before and during the cutting process. The LT70 also features a helpful computer that stores pre-set board thicknesses. With the push of a button, Stefano can ensure that his next cut will be exactly the right size, without stopping to take measurements or adjust the bandsaw height manually. The sawmill is usually in operation from three to eight hours a day, depending on the season and number of orders. 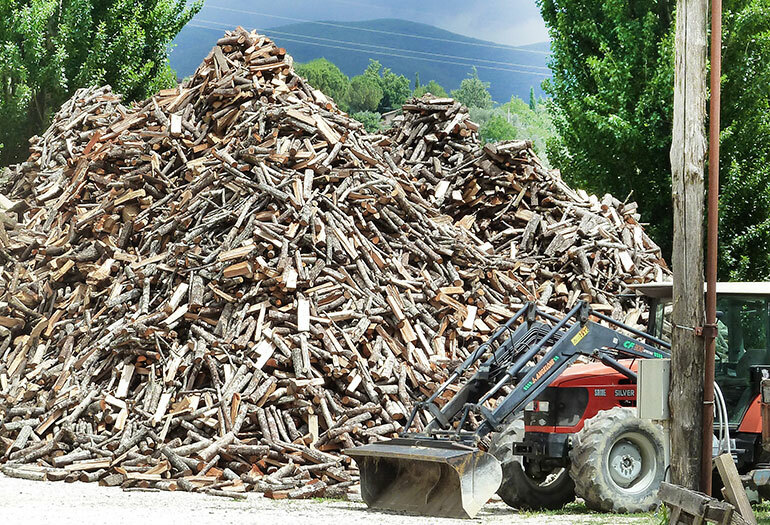 Stefano says that if he working alone, and using a forklift to move the logs and beams, he can process 3-4 cubic metres of timber daily on the sawmill. If he has help, he can easily double his output. His return on investment for the sawmill was better than expected, and his operational expenses lower. Timber that needs to be dried is stacked in a solar dry kiln, which uses a combination of the sun’s energy and vents and fans to dry timber much more quickly than the air-drying method, with minimal power. “My advice to others with wood businesses is to make a goal to grow, but take it one step at a time. Build a solid foundation before growing too big too fast.” His family remains very involved in the business. 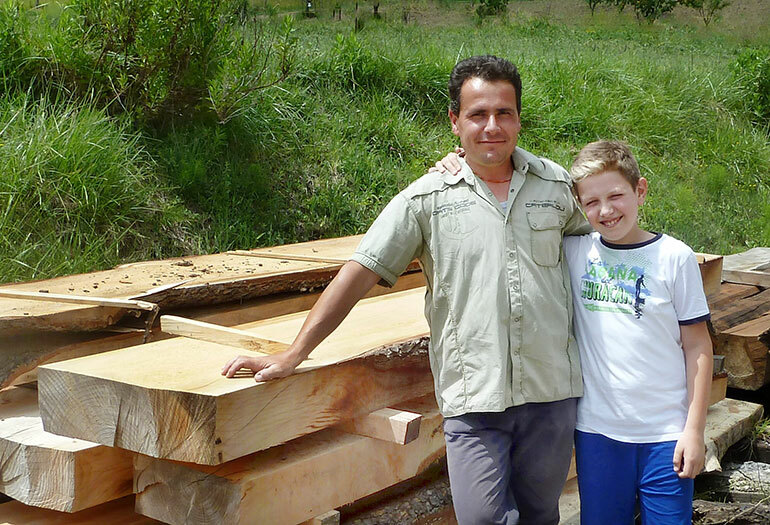 His father and uncle still work with him, and his oldest son Samuele, who is 12 years old, enjoys helping as well. When asked what he thinks about managing the business someday, Samuele laughs and says, “It’s a lot of hard work!” But as his father, grandfather, and great-grandfather learned, he is also learning that anything of lasting value will take hard work.